CSI: The Experience will re-open on March 23, 2019. Calling all wannabe super sleuths! 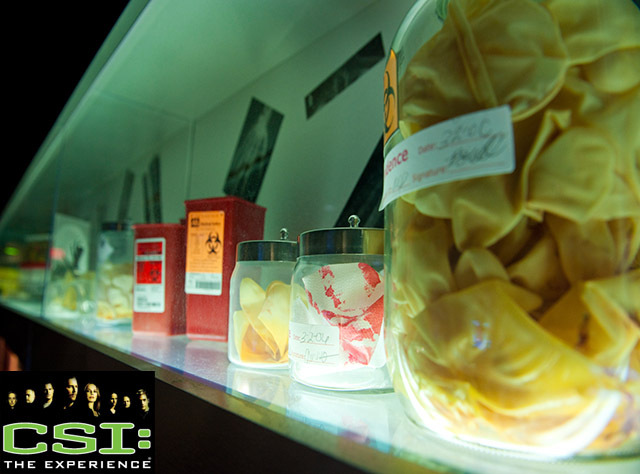 Las Vegas’ ultimate interactive attraction, CSI: The Experience, provides visitors with a hands-on, multi-sensory experience in the world of crime scene investigation. Located at the MGM Grand, the 12,000-square-foot-attraction features the most advanced technology and techniques used by crime scene investigators and forensic scientists as well as thousands of props, spectacular special effects, accurate crime scene recreations and state-of-the art crime labs. The 45- to 60- minute experience begins with a video introduction by the popular TV show's creator, Anthony E. Zuiker as well cast members from the hit CBS show. Following the intro video, your Las Vegas CSI: The Experience tickets offer you the opportunity to test out your skills like a real investigator as you choose from one of three crime scenes to solve. The detailed experiences include "A House Collided," where a driver appears to have crashed their vehicle through a living room window of a quiet suburban home; "Who Got Served?" exposes the body of a young woman found behind a hotel; and "No Bones About It!” shows a human skull and other remains that were unearthed in the desert. After exiting the crime scene you selected, you will visit two crime labs that feature several interactive, multimedia stations that allow you to test your sleuth skills. At the end of the CSI: The Experience, you will answer a series of questions based on your findings via a touch screen. Upon completing the questions, you will then be shown a video re-enactment of what actually happened. Your Las Vegas CSI: The Experience tickets from VEGAS (the app) also offer you the opportunity to purchase a personalized CSI diploma and take home a souvenir picture of yourself wearing an actual CSI vest.